Larry Kehres (born September 7, 1949) is a college athletics administrator and former American football player and coach. He is the athletic director at the University of Mount Union, formerly known as Mount Union College, in Alliance, Ohio. Kehres was the head football coach at Mount Union for 27 seasons, from 1986 through the 2012 season. In May 2013, Kehres retired with a record of 332–24–3 as head coach of the Mount Union Purple Raiders football team, and a winning percentage of .929, the highest in college football history. Kehres also has the most national titles (11: 1993, 1996–1998, 2000–2002, 2005–2006, 2008, 2012), conference titles (23), and unbeaten regular seasons (21) of any coach in college football history. His Purple Raiders set the National Collegiate Athletic Association (NCAA) football record for most consecutive victories with 55, running from 2000 to 2003. He was succeeded as head football coach by his son, Vince. Alliance is a city in the U.S. state of Ohio. Most of the city is located in northeast Stark County while a small portion is in adjacent Mahoning County approximately 16 miles (26 km) northeast of Canton, 27 miles (43 km) southwest of Youngstown and 51 miles (82 km) southeast of Cleveland. The population was 22,322 as of the 2010 census. Alliance was established in 1854 by combining three smaller communities. The city was a manufacturing and railroad hub for much of the 20th century and is also associated with the state flower of Ohio, the scarlet carnation, and is known as "The Carnation City". 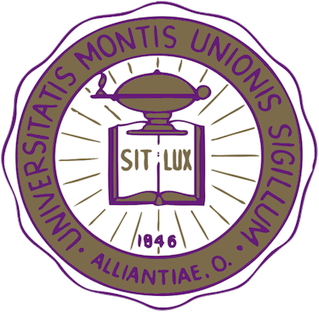 The University of Mount Union, a private liberal arts college established in 1846, is located in Alliance. Diamond is an unincorporated community in eastern Palmyra Township, Portage County, Ohio, United States. Although it is unincorporated, it has a post office, with the ZIP code of 44412. The community is part of the Akron Metropolitan Statistical Area. Interstate 76 travels near Diamond. The village used to be a stop on the New York Central Railroad, but the stop was abandoned in the early 1970s. Windham High School is a public high school in Windham, Ohio. It is the only high school in the Windham Exempted Village School District. Their nickname is the Bombers. Windham High School was founded in 1883. Johnstown-Monroe High School is a public high school in Johnstown, Ohio. It is the only high school in the Johnstown-Monroe Local School District. It was erected in 2018 and currently houses grades 9-12. The current principal is Mr. Derick Busenburg. The district superintendent is Dale Dickson. The school prides itself on its state academic ratings and its high rate of student extracurricular participation. In 1985, Kehres became the athletic director at Mount Union. In 1986, he took over as head football coach. His teams have won 11 NCAA Division III Football Championships (1993, 1996–1998, 2000–2002, 2005–2006, 2008, 2012). The NCAA Division III Football Championship began in 1973. Before 1973, most of the schools now in Division III competed in the National Association of Intercollegiate Athletics (NAIA). Kehres' teams hold several NCAA records. In addition to owning the two longest winning streaks in NCAA history, 54 wins in 1996–1999 and 55 wins in 2000–2003, the Mount Union Purple Raiders won a conference title in 23 of his 27 seasons; at Kehres' retirement, Mount Union had an ongoing streak of 21 conference titles. During his tenure, Kehres only lost eight games and tied three times in conference play. From 1994 to 2005, his squads won 100 consecutive games against Ohio Athletic Conference opponents. The 1994 season was the last under his tenure in which the Purple Raiders lost more than one game. Finally, his record of 72–3 (.960) in his final five seasons is the best in college football history, surpassing Tom Osborne's 60–3 (.952) in his final five seasons at Nebraska. Kehres is 3–1 against college football's all-time winningest coach, John Gagliardi, having beaten Gagliardi's St. John's squads twice in playoff match-ups and traded wins in the national title game in 2000 and 2003. In 2009, Kehres was named first vice president of the American Football Coaches Association (AFCA). He was elected President of the AFCA in January 2010. In 2013, Kehres retired after 27 years as head coach to become the Athletic Director of Mount Union. His son, defensive coordinator Vince Kehres, succeeded him as head coach. James Patrick Tressel is an American college football coach and university administrator who is currently the president of Youngstown State University in Youngstown, Ohio. Before becoming an administrator, Tressel was the head coach of the Youngstown State Penguins and later the Ohio State Buckeyes in a career that spanned from 1986 until 2010. Tressel's teams earned several national championships during the course of his career, earning him numerous accolades. James Ballard is a former American football quarterback. Ron "Skip" Schipper was an American football coach and college athletics administrator. He served as the head football coach at Central College in Pella, Iowa from 1961 to 1996, compiling a record of 287–67–3. Schipper also served as the school's athletic director from 1964 to 1993. During his tenure as head football coach at Central College, he always had a winning season. His teams won 18 Iowa Intercollegiate Athletic Conference championships, enjoyed ten undefeated regular seasons, and won the 1974 NCAA Division III Football Championship; they were national runners-up in 1984 and 1988. The University of Wisconsin–Whitewater Warhawks are the athletic teams of the University of Wisconsin–Whitewater. Twenty Warhawk athletic teams compete in NCAA Division III. The Warhawks currently rank third out of all NCAA Division III schools in the NACDA Director's Cup standings. Erik Raeburn is an American football coach. He most recently was the head football coach at Savannah State University, a position he held from March 28, 2016 until December 7, 2018 when he was relieved of his duties by school’s interim athletic director, Opio Mashariki. Raeburn is the 25th head football coach in history of the Savannah State program. Raeburn was the head football coach at Coe College in Cedar Rapids, Iowa from 2000 to 2007, where his teams compiled a 57–26 record and won the Iowa Intercollegiate Athletic Conference championship three times. Mike Sirianni is an American football coach and former player. He is currently the head football coach for Washington & Jefferson College is Washington, Pennsylvania, a position he has held since the 2003 season after succeeding Pittsburgh Steelers great John Banaszak. Sirianni has compiled a record of 101–24 in 11 seasons as head coach. Sirianni's winning percentage of .846 is second best among active head coaches with at least five years of experience in NCAA football, trailing only that of Mount Union coach Larry Kehres, for whom he played. In his first 11 years of coaching at Washington & Jefferson, he won PAC Coach of the Year five times. Mike Swider is an American football coach. He is currently the head coach at Wheaton College in Wheaton, Illinois, a position he has held since 1996. Swider's Wheaton teams have won seven conference titles and made seven appearances in the NCAA Division III Football Championship. In each of their first five appearances, they were eliminated from the tournament by Larry Kehres's Mount Union Purple Raiders. The Wisconsin–Whitewater Warhawks football program is the intercollegiate American football team for the University of Wisconsin–Whitewater located in the U.S. state of Wisconsin. The team competes in the NCAA Division III and are members of the Wisconsin Intercollegiate Athletic Conference. Wisconsin–Whitewater's first football team was fielded in 1889. The team plays its home games at the 13,500 seat Perkins Stadium in Whitewater, Wisconsin. The Warhawks are coached by Kevin Bullis. Matthew Allen Campbell is an American football coach who is the current head coach at Iowa State. He was head coach at Toledo from 2011 to 2015. 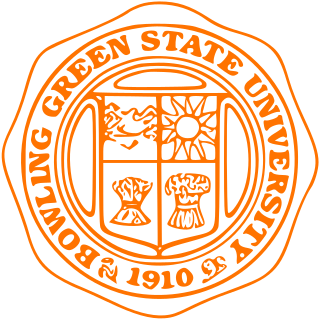 Prior to that, Campbell had been an assistant at Toledo, Bowling Green, and Mount Union. Campbell grew up in Ohio and briefly attended the University of Pittsburgh before transferring to Mount Union, where he played defensive line. Vincent G. Kehres is an American football coach and former player. He is the head football coach at the University of Mount Union, a position he has held since 2013. Kehres is the son of Hall of Fame coach Larry Kehres, who preceded him as head football coach at Mount Union. The 2013 NCAA Division III football season, part of college football in the United States organized by the National Collegiate Athletic Association at the Division III level, began in August 31, 2013, and concluded with the National Championship Game of the NCAA Division III Football Championship on December 20, 2013, at Salem Football Stadium in Salem, Virginia. This was the twenty-first consecutive title game held in Salem. The Wisconsin–Whitewater Warhawks defeated the Mount Union Purple Raiders, 52–14, to win their fifth national title. Greg Debeljak is an American football coach and former player. He is the head football coach at Case Western Reserve University, a position he has held since 2004. Debeljak and his Spartans compete at the NCAA Division III level as a member of the Presidents' Athletic Conference and University Athletic Association. The 2017 Mount Union Purple Raiders football team represented the University of Mount Union in the 2017 NCAA Division III football season. The Purple Raiders, led by fifth-year head coach Vince Kehres, were members of the Ohio Athletic Conference (OAC) and played their home games at Mount Union Stadium in Alliance, Ohio. The 2018 Mount Union Purple Raiders football team will represent the University of Mount Union in the 2018 NCAA Division III football season. The Purple Raiders, will be led by sixth-year head coach Vince Kehres, are members of the Ohio Athletic Conference (OAC) and will play their home games at Mount Union Stadium in Alliance, Ohio. The 2007 Mount Union Purple Raiders Football team represented the University of Mount Union in the 2007 NCAA Division III football season. Led by veteran head coach Larry Kehres, with future NFL wide receivers Pierre Garçon and Cecil Shorts III, The Raiders completed their second consecutive undefeated regular season. The Raiders battled to the Stagg Bowl National Championship for the third consecutive year, but unlike the previous two years, the Raiders were defeated by UW-Whitewater. After the season, Garçon would be drafted in the sixth round of the NFL Draft by the Indianapolis Colts, for whom he would start in Super Bowl XLIV, eventually being traded to the Washington Redskins and San Francisco 49ers. 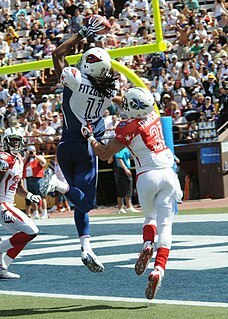 Shorts would enter the NFL, as well in 2011 for the Jacksonville Jaguars. 1 2 3 "2006 Coaching Staff: Larry Kehres, Head Coach". Mount Union College. Archived from the original on 2013-01-05. Retrieved 2010-10-06. 1 2 3 "Mount Union's Larry Kehres Named 2010 AFCA President". AFCA. January 12, 2010. Archived from the original on December 5, 2010. ↑ Dave Campbell (December 20, 2008). "Mount Union coach Larry Kehres has what other coaches crave: players, tradition, nine titles". Cleveland Plain Dealer. ↑ Milan Simonich (August 31, 2003). "Coach Larry Kehres has built Mount Union College into a Division III football juggernaut". Pittsburgh Post-Gazette. ↑ "Mt Union Football Head Coaching Records". Archived from the original on March 30, 2009. Retrieved September 16, 2009. 1 2 "2010 AFCA President Larry Kehres, University of Mount Union". AFCA. August 11, 2010. Archived from the original on December 5, 2010. Retrieved October 6, 2010. ↑ Mount Union hosts Wabash in the NCAA Quarterfinals. November 26, 2011. Retrieved on February 1, 2012. ↑ "SSU Names Erik Raeburn Head Football Coach" . Retrieved April 14, 2017.